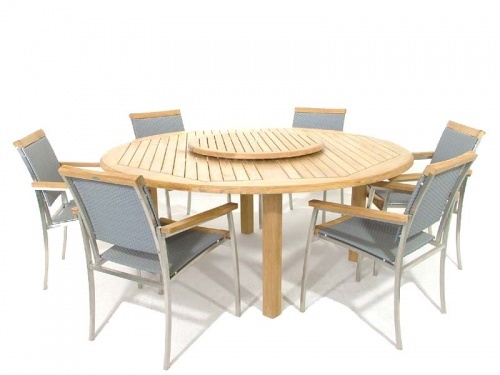 Our Buckingham SS Kelly Stacking Teak Dining Set gives everyone the same view and feel of royalty, and plenty of table space! 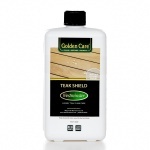 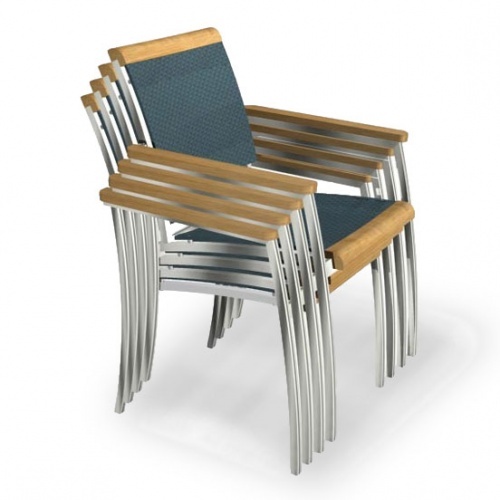 Comes with 1 Buckingham Teak Table and 6 Teak SS Kelly Stacking Chairs. 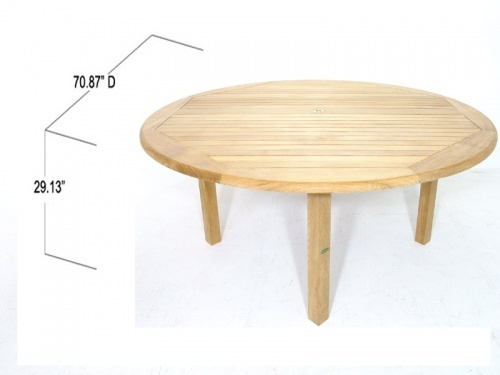 Teak Lazy Susan shown is sold seperately. 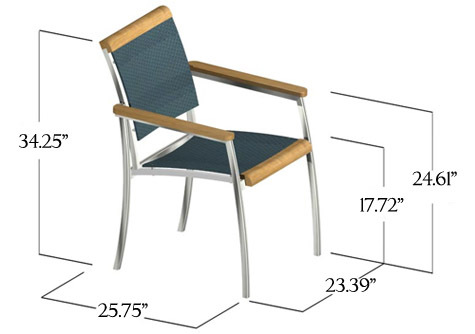 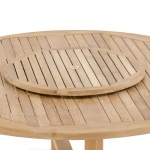 This circular wooden patio furniture set sells quickly, reserve yours now!